Interesting discussion happening in the comments of this post, and one that I’m sure will pick up steam as the season progresses: just how much does Erik Karlsson get on his next deal? His importance to the team is uncontestable, and would be if his performance were even half as integral as it’s been this season. Over a point-per-game, well on pace to beat his already respectable high of 45 points last year; playing between 25 and 30 minutes a night, and in all situations; showing great leadership and ownership. For such a young player, and such a small player, he’s carrying the team most nights, and it’s not hard to imagine Karlsson someday becoming the next Swedish captain of the Ottawa Senators. He demonstrates the importance of a puck-moving defenceman, and why Ottawa chose Wade Redden over Zdeno Chara back in the day. The question isn’t whether he gets a hefty raise—that’s assured—it’s whether or not Karlsson is in the elite strata of defencemen garnering those truly ludicrous deals. 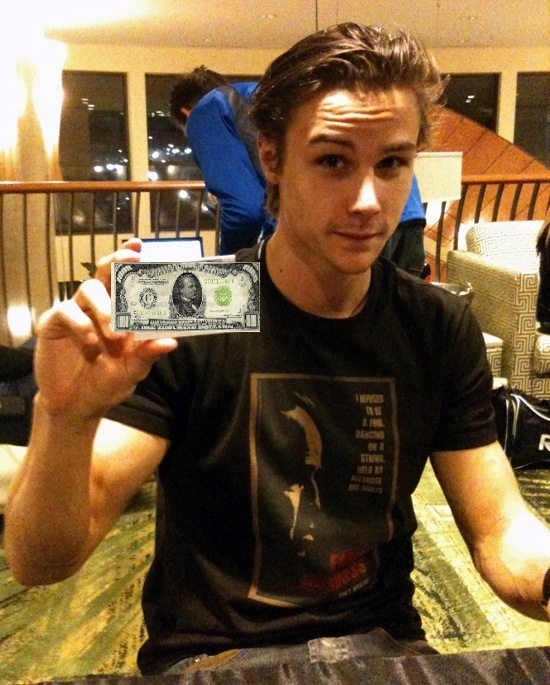 One of our readers suggested that Karlsson be paid up to $6M a year, which, according to Capgeek, would make him the 11th highest paid defenceman in the league—above the likes of Brent Seabrook, Andrei Markov, Duncan Keith, Mike Green, and Keith Yandle. Looking strictly at points, Shea Weber’s career high is 53 (though on a low-scoring team). Drew Doughty’s is 59. Mike Green has had two 70+ point seasons, albeit on the hockey equivalent of a blitzkrieg. Guys like Zdeno Chara and Dion Phaneuf bring elements that Karlsson simply isn’t built to provide. Timonen and Boyle are veterans in the league who were negotiating as UFAs. And then there’s Jay Bouwmeester, Brian Campbell and Wade Redden, acting as our resident cautionary tales. I suggested in the linked post that because Karlsson is an RFA rather than a UFA, now’s the time to really put the screws to him for the good of the team. (Look at what Sather did with Marc Staal, who is now signed to a very reasonable deal.) When his RFA status is combined with an impending CBA negotiation, and Karlsson is playing for a team in flux (Yield for Yakupov isn’t exactly going as planned), it’s in the best interests of all involved to maintain maximum flexibility on a fair, but conservative, deal. 2) If a long(er)-term deal like those signed by other prominent RFAs Mike Green and Keith Yandle is the only option from Karlsson’s POV, then look at their conservative totals. Mike Green signed for four years at $5.250M, which seemed low for far and away the highest scoring defenceman in the league. Yandle signed for five years and the same amount. Both took less than they perhaps could have gotten in order to manage expectations, stay with their team, and, in Washington’s case, keep the roster together. Karlsson takes on some risk in this scenario, especially if the new CBA involves a salary rollback similar to that employed during the last negotiation. But otherwise the term and amount are just right, as Karlsson falls somewhere between those two players in terms of his skill set. He puts up points like Green, though not at that level, and has a great all-around game, though not as solid as Yandle’s. With the team not expected to contend, and with all of the cap space in the world right now, it may seem like there’s no pressure to get this deal right. Just give him whatever it takes to keep him in a Sens uniform, right? But these are the kind of decisions that put franchises in difficult situations a few years from now, when you’ve got Rundblad, Cowen, Michalek and Spezza all needing new deals within a season of each other. Another option I didn’t talk about: one year deal to tide everyone over until the new CBA. That actually seems pretty likely. Good post. I like the analysis. It’s tough to predict a number right now because obviously it largely depends on what happens in the next 70 games, and what the CBA situation is. Let’s say hypothetically he ends up with 60 points, another All Star game appearance, and continues to cut down on the defensive mistakes, as he seems to have done in the last couple of weeks. In this case I think the comparables will be Yandle, and the other D from Karlsson’s draft – Myers, Doughty, Schenn. I think Yandle is the closest comparison right now. Similar point totals, similar defensive abilities, all star selection, etc. He is at $5.25 for 5 years. Based on this I would predict that EK will come in a bit higher because for a reason I can’t explain it seems lately that first rounders are able to leverage their high draft position in to a higher than expected second contract as well. True – pedigree seems to loom large in these kinds of discussions, strange as that can seem, though I admit there’s so much research that goes into making that 1st round selection, it seems the free agent need only point to it and say he’s only asking to be paid according to the team’s own estimation. Though it’s not as strange as All-Star Game considerations. That seems hugely arbitrary to me, especially since fan voting was instituted. Agreed. The thing about All Star selections is that it reflects how you are playing compared to your teammates. Yes, it’s a bit arbitrary, and yes, voting skews things, but getting selected still means you are a key player on your team and considered a top-end player around the league. For example, Karlsson going last year was a reflection of him having a much better year than any of his teammates. Thanks for stopping by! Did you notice that huge colourful rectangular prism hanging over the ice at TD Garden last night? What is that thing? It was projecting these weird life-like images from the game and had all these configurations of numbers on it…was it floating? Are there witches or sprites in there? I’m worried about it. I hope we don’t have one of those getting in the way of the scoreboard that the makers of the videogame Blades of Steel took all the trouble to make during the All Star game! I’m worried everyone will laugh at us. Couldn’t agree more. The problem is that scoreboards are expensive and so is buying a bottle of rum twice a day. Choices must be made. If you add up the money we spent on Kovalev and Leclaire in the past two years that could easily pay for a beautiful new scoreboard. I’ll let you decide which option would bring more enjoyment to the fans.